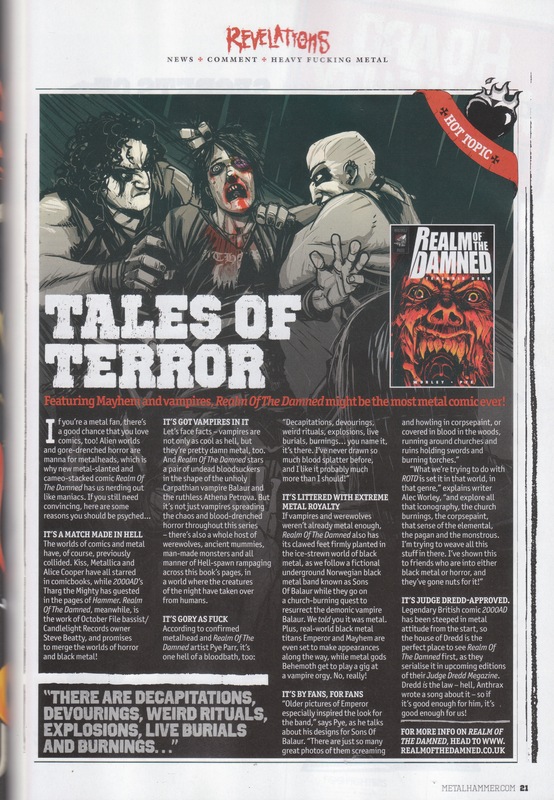 Realm of the Damned – All you need to know about the horror metal comic book your mother warned you about! The world has been overrun by the supernatural and the worst kind of monsters and humanity is defenceless. And with the Vatican’s last line of defence – The Congregation – overrun by the supernatural forces of darkness, all hope has been lost. Former vampire hunter Alberic Van Helsing now spends his life fleeing across America from the creatures he once hunted whilst struggling with an addiction to blood. But when a delusional death metal frontman resurrects the evil demon lord Balaur in Norway, Van Helsing is forced back into action to prevent total destruction of human and monster alike. Realm of the Damned: Tenebris Deos is a new graphic novel of pure Black Metal horror, unleashing classic gothic monsters on a modern rampage of redemption and damnation. Raw, fast-paced and bristling with atmosphere, this is a bloody and blasphemous epic that leaves no church unburned. 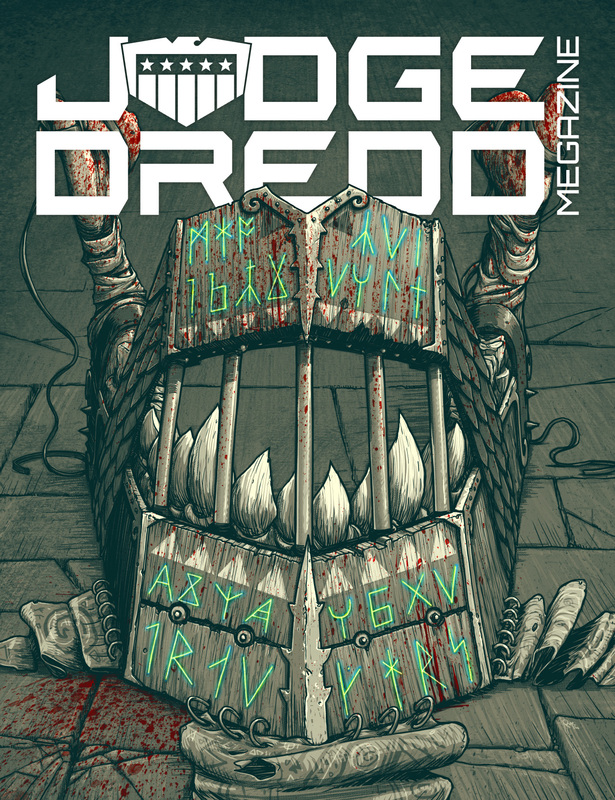 ROTD premiered with a serialisation in the Judge Dredd Megazine, home to epic 2000 AD stories as well as all-new series the megazine has given a start to. ROTD’s creators, Alec Worley and PYE, are regular 2000 AD contributors. Since its launch, ROTD has been previewed everywhere from Forbidden Planet International’s blog to a 36-page pull-out in Metal Hammer UK. ROTD also functions as a back story to the Oslo black metal band Sons Of Balaur, a band who exist fictionally within the ROTD universe, but also have a corporeal presence that’ll be performing at the Forbidden Planet launch party – a bit like Damon Albarn and Jamie Hewlett’s Gorillaz. They’ve even been signed by a real-life record label and will be putting out an album later this year – find out more here. With appearances from Behemoth, Emperor and Mayhem this is a hellride of a book featuring some of Black Metal’s greatest warriors! This entry was posted on May 12, 2016 by turnaroundps in Books of the Month, Graphic Novels and tagged Alec Worley, Black metal, Comic books, Comics, death metal, Forbidden Planet, Graphic Novel, Horror, Judge Dredd, Megazine, PYE, realm of the damned, Simon Parr, Sons of Balaur, Tenebris Deos, werewolf press.